When a family decides to get a dog, it can be a time of great excitement. However, parents must always remember that a dog, especially a puppy, will require special care from all members of the family. The internet always has a wealth of information on any subject. The visual nature of information videos on puppy care will make it easier for children to remember. Seeing how a puppy should be held, carried, led on a leash, fed and kept warm and cool will lead to the correct imitative behavior. Take advantage of any opportunity to interact with your chosen puppy before actually taking him or her home. In this way, children will get the “hands on” experience they need to understand how fragile small puppies are and why they need to be careful with them. If you cannot arrange to have time with the puppy in advance, try going to pet store or humane society for a bit of real-life experience. Getting children accustomed to dog behavior will help them to learn what they should and should not do when their puppy arrives. Encourage them to ask questions of the dog owner and learn from their experience. This interaction will help them to understand that every dog is different, and they will have to adapt their care to the needs of their own puppy. Ensuring that doors are always closed so the puppy does not escape. Finding a special location for the dog leash so it is always available to take the puppy outside for his business. Teaching children to tuck electrical cords out of sight so the puppy does not chew on them. Making sure garbage is carefully covered with a secure lid so the puppy does not eat unhealthy food items that will make him or her sick. Removing toys or other items from the floor area if they could be dangerous to a chewing puppy. Learning about healthy foods for puppies and about foods that can be hazardous to their health. Purchase a pet gate and show children how to use it safely to keep the puppy in an area of the home when needed. 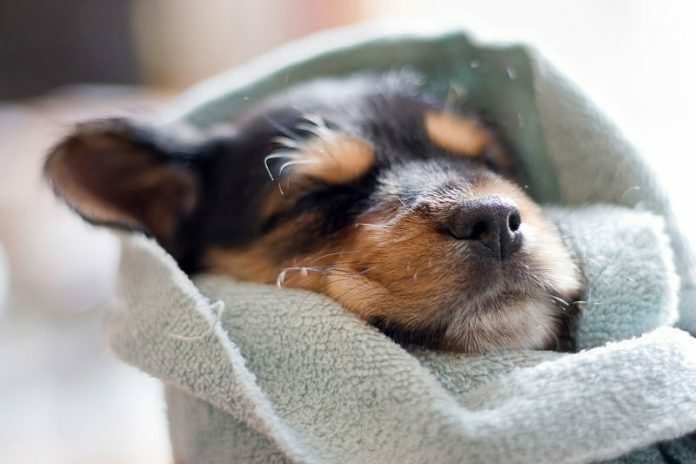 Learning to care for a new puppy can be fun and educational. In addition, making sure children know the rules of good puppy care will make your puppy’s transition to his new home easier.